Church Growth. At a macro level, you don't have to look too far to hear the doom and gloom statistics of denominational declines, plateaued growth, and church closings. At a micro level, there are churches facing the difficult challenges of changing communities, aging membership, and a disconnect with younger audiences (millennials). There's a real and significant dilemma facing countless churches. 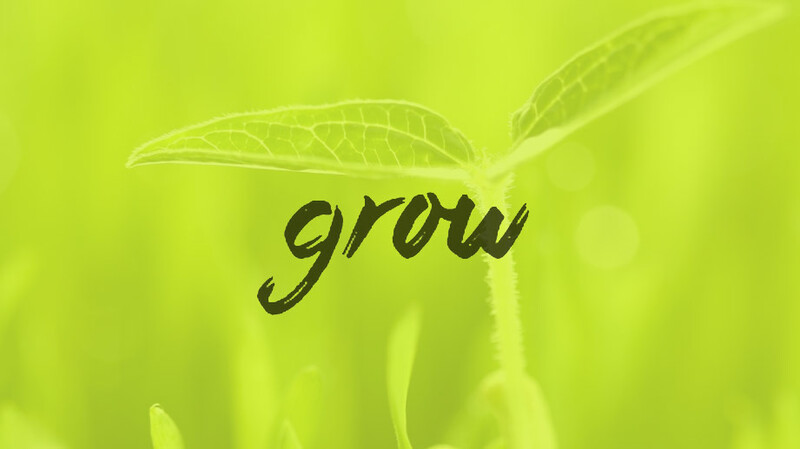 So, how do we grow our church? How do we stop the decline? How do we reach new segments of the community? This is a topic that could easily benefit from an in-depth discussion or a larger platform with multiple perspectives. With this post, we'll focus on common qualities that growing churches exude… areas that they constantly prioritize and continually invest in to create a growth-minded church. CAST THE VISION OF REACHING MORE PEOPLE. The power of vision. Often times, it's underutilized by leadership towards its congregation. Churches find themselves in the routine of church. The week-to-week routine is always there and is very demanding of time and energy. Seasons, holidays, worship formats, pressed time on Sundays… where and when do you cast vision for everyone reaching out to bring people in? Answer: you make time… wherever and whenever you can. It has to become a greater priority. Leadership must cast the vision of the entire church being a unified outreach force. Cast your outreach vision repeatedly. Illustrate it with scripture. Affirm the church's efforts by telling the stories of life change that have occurred because of individual and corporate focus on reaching more people for Christ. Once you have cast the vision, it's paramount you ask people to find their own way to participate. How can they be a part of the outreach vision you have cast? What will their impact be in making a difference in someone's life? We often find "the big ask" is simply not found in so many churches. The reality is, once people are asked, once they hear the challenge, many will step up and commit. Non-profit organizations across the country are bolder with the "big ask" than many churches. Non-profits realize their success depends on everyone, yes everyone, getting their hands dirty or putting more skin in the game. Growing churches across the country practice the "big ask" and are not fearful in doing so. They understand the impact potential behind one person engaging another person, then multiplying that affect leads to huge impact potential. I'm thankful my church's pastor and leadership team make time on Sundays to ask people to be involved in making a difference in a lives today, tomorrow, in the neighborhood or at the office. Commit to asking people to be involved in outreach… church growth. Make it a repeated part of Sunday environments, across all your communications. Make the "big ask" cultural, a priortized part of the DNA of your church. Everyone is digital, yet this is a fact that many churches are not fully embracing. Our society is wired, it's a part of daily living. People will Google your church, experience your church online, or on Facebook before they visit your physical campus. AND, today they are likely experiencing your church on a handheld device… tablet or smartphone. As we survey church websites across the country, most churches have websites, but for far too many, the first impressions and experiences that one has with their website may be detrimental to someone connecting. The people you are trying to reach are not web snobs, they're simply conditioned to expect quality and to be intrigued by what they have experience online. Invest in your digital footprint so you are confident first impressions are remarkable and real. Another trait of growing churches is that continually invest in making sure that their message is out there, beyond the church walls. Marketing the church is not a toxic or taboo concept. It's foundational to church operations today. Yet, many churches simply do not have a plan or a budget for getting the church's message beyond the church walls. The strategy and the mix of tools will vary from church-to-church. For many, the question will be what is the rate of return if we invest more in marketing or advertising our church? The better question would be, what are the consequences if we do not invest more in marketing or advertising? Identify a plan of attack for marketing your church. Challenge your everyone to invest more time, passion, and resources. Remember your number one marketing asset is your people, so make sure any attack plan includes and empowers your congregation. Change the culture, attack the growth dilemma by understanding more energy, bold ideas, and bigger investment are a part of doing church and reaching people today. There are countless strategies a church could employ in order to reach more people and also build a culture of outreach. Every plan will and should look different because every church's settings, resources, and circumstances are so unique. Following are strategies to consider or maybe even inspire your own bold initiatives for growth. 1. SENSITIZED HOLIDAYS. There are two holidays in which people are more likely to visit the church or be more open to visiting a local church. Christmas and Easter seasons can no longer be about internal programming and events to insure our members are taken care. Yes, the message is for our internal family AND its for those beyond the church walls as well. Step up the planning and resources to insure these Christian holidays are your biggest and most strategic outreach campaigns. The "Big Ask" pertains to these holidays... your congregation should have ownership and expectations for inviting people to hear and experience both celebrations of Christ. 2. OUTREACH WEEKS. Churches do mission weeks, VBS for kids... its time to have an annual community invite week (or two or three). Your sermon, bible study and small group lessons should provide guidance, inspiration, and instruction on the role everyone will play in inviting guests to your church. By implementing outreach weeks, you'll begin to create a strong foundation on which to build, year after year. 3. FALL. It's a time for renewal... a time for people to get back into routines that have been disjointed from summer busyness. Most churches already have fall carnivals or festivals and use this a good platform for outreach. If you already have a big fall event, you need to ask how can we make it a bigger invite AND connection event? How can we be more deliberate with attracting people AND making sure we have a connection point in which to reconnect with them. Maybe its a hand written note thanking them for their participation. Maybe it's an email or a packet of information that provides a clear picture of opportunities to connect into your church. Look for ways to keep building on the engagement and relationship opportunities that these events naturally create. For many churches, the events are terrific for the community, but underperform in continued engagement of the community. 4. IDENTIFY NATURAL ADVOCATES. Some people are simply wired to naturally share and invite. Identify these talents and empower them to "go" and invite others. Let the spirit and results of these talents serve as models for others in our congregation/parish. These folks should have an arsenal of invitation cards with a genuine invite and obvious connection information: worship schedule; directions; web and social addresses. 5. CANVAS THE COMMUNITY. Consider a couple campaigns a year that include media buy combined with strong social media emphasis from the entire congregation. For instance, you might do a direct mail card that introduces an upcoming sermon series or the spirit of the church that covers multiple zip codes in the community. During a three week period, your congregation could be involved in a social media and relational invite strategy that reinforces the messaging from the direct mail campaign. Through direct mail (still one of the most cost effective advertising tools available) and combined relational blitz, a large segment of your community could be actively engaged and given an invitation to visit. 6. BUILD A BETTER GUEST EXPERIENCE. Through all of this challenge of inviting people in, we cannot loose sight of the quality of the experience they'll have once they arrive. Break down the infrastructure of your guest response approach, and rebuild it to be remarkable in the eyes of first time guests. You'd be surprised at how important (and lasting) that first impression experience is for guests. Challenge everyone to understand the importance of a visitor and the critical nature of effectively responding to their needs and expectations. 7. USE TEACHING ASSETS TO INVITE PEOPLE. Churches across the country are good at creating platforms to enrich one's spirituality, families, biblical understanding, etc. BUT, we often develop these for internal consumption by members. Failing to realize and promote these platforms as a guest entry opportunity. When providing these content rich platforms, consider the outreach potential they naturally create. And, begin to develop the micro-marketing campaigns to take advantage of the natural invite potential that is there. These platforms have far more community impact potential than many may realize. And, don't think placing a banner in the church lawn is the only promotional tactic you can utilize... begin to think about multi-touch strategies to get the word out. Such as signage, invite cards with social media focus, website, blog posts, internal asking of members and staff, direct mail, posters, and ad placement considerations.